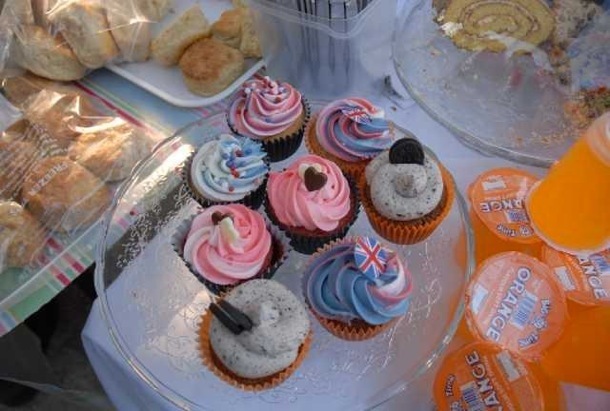 Last Friday we were invited to serve 700 cream teas, for the Royal Wedding celebrations in West London. For 7 hours we served people dressed in all sorts of wedding attire, none stop and it was great to be part of a super event. 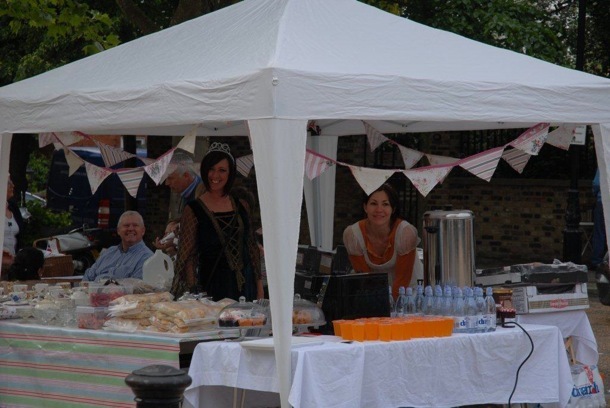 Everyone loved sipping tea from vintage china tea cups, sitting at antique tables and chairs kindley loaned from Chiswick Auctions. 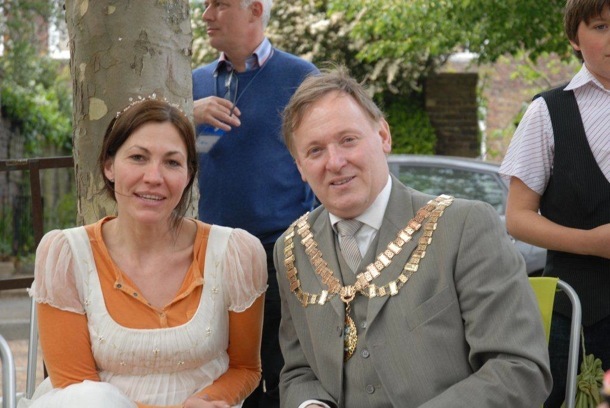 My highlight of the day was when The Mayor of Chiswick and Hounslow, came for tea. Not just a great photo event but time to enjoy the other side of the marque. A huge Thank You to Julia Quilliam of Quilliam Property Services and Joanne Lavery from the Weir. These two lovely ladies helped to organize this massive event, there was an estimated 5,000 people on the day. And a last Thank you to everyone who helped me Craig, Danille, Simon, Jo, Mihaela, Teddy, Linda Day and my very own Alice in Wonderland. We did have a White Rabbit and Mad Hatter too. I will post some pictures of this trio soon. Congratulations to William & Catherine.